You won't believe how many people I fooled with this recipe! I mean, coming-back-for-seconds-and-thirds type fooling! Yes, these cookies are THAT GOOD. It's basically just a veganized recipe of your standard chocolate chip cookie, but when you can't stop at just one, you really won't care. And they're so easy to make, just like any normal cookie recipe. The only visual difference I noticed was that the egg substitute seems to make the dough a lot lighter-colored than usual; texturally, the dough is light and very soft. After mixing, I refrigerated mine for about 30 minutes before baking. Roll walnut-sized balls of dough (this will leave your hands very greasy), and bake for about 10-12 minutes. Make again? Helllls yeah, we've got a winner! This recipe really lives up to its "classic" name. Preheat oven to 350. Lightly oil baking sheets or line with parchment paper. 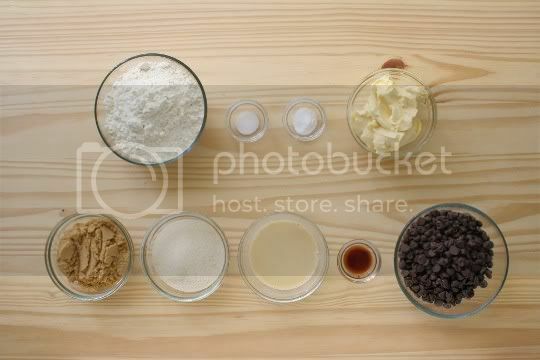 In a large bowl, combine flour, salt, and baking soda, and mix well. In a separate large bowl, beat butter and both sugars until creamy and whipped. Add egg substitute and vanilla, and beat again until light and fluffy. Add the dry ingredients in two additions, and mix well after each one. 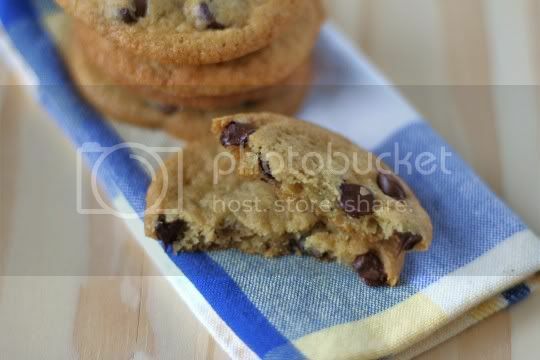 Add chocolate chips until just combined. Refrigerate dough for 30 minutes to one hour. Roll walnut-sized balls of dough and put on baking sheets about one inch apart (return any unused dough to the refrigerator). Bake 10-12 minutes or until dry and firm around edges. Transfer to wire racks. Remove after 5-10 minutes and cool completely before storing in an airtight container. 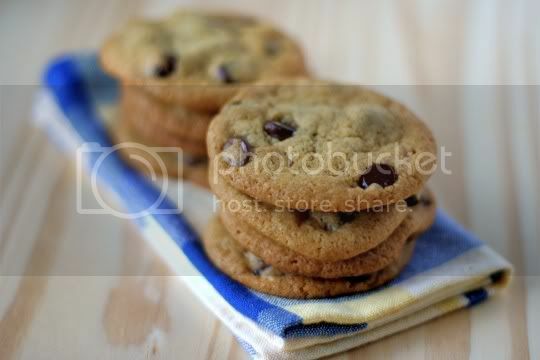 These look like perfect chocolate chip cookies!